My beak grew sharp, and I flew away. So let me come on home, home to roost. 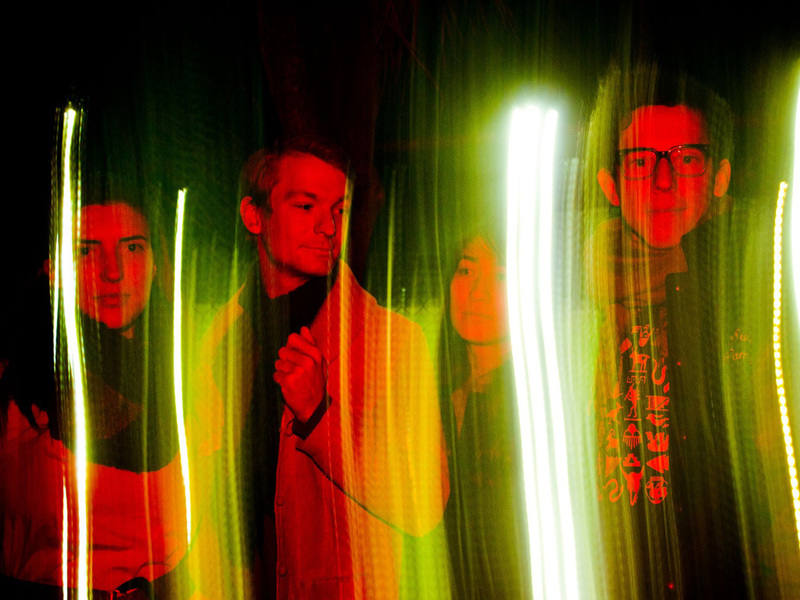 Hailing from Oakland, California is Trails & Ways, who make dreamy indie pop with roots in Brazilian bossa nova straight from their bedroom studio. While living in Brazil, songwriter/guitarist/keyboardist KBB (aka Keith Brown) became engrossed with samba and bossa nova music. In late 2010, Brown and his then-roommate, percussionist Ian Quirk, started laying down tracks together while at a friend’s party. One year later, the duo added Emma Oppen on bass and vocals, and Hannah van Loon on electric guitar, violin, and synths. They released their debut EP, Territorial, in mid-2011, which included a cover of Miike Snow’s song “Animal.” This was followed by the release of their Temporal EP later that year. Alongside being influenced by bossa nova and samba, Trails & Ways cite American noise folk and dream pop as big influences on their sound. Lyrically, they’re known for being politically-inclined. “No Wisdom,” from the Temporal EP, is a response to the budget cuts within the University of California system, “we watched as the wise men came/they sold our school off/they sold the oaks and the pines away,” sings Brown. The band is set to release their debut full-length album, Trilingual, which will be written in English, Portuguese, and Spanish.